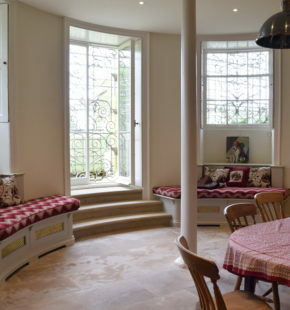 This rather special 18th century house in Oxfordshire is foremost a family home but is also open to the public through the National Trust for six months of the year. 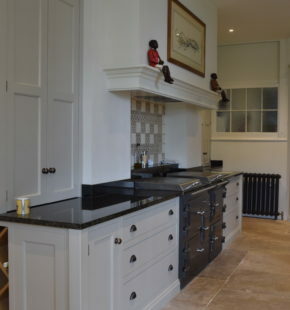 Thankfully the kitchen which we were asked to design is purely for the family and their domestic staff use. 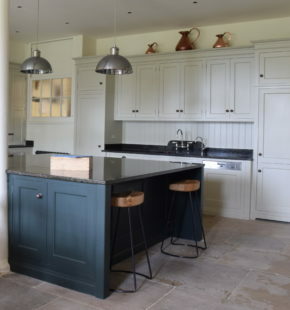 It is a vast room, with a few unusual features which Nick had to accommodate into his design, namely two weight bearing poles that stand in the centre of the room and around which the island had to be designed. 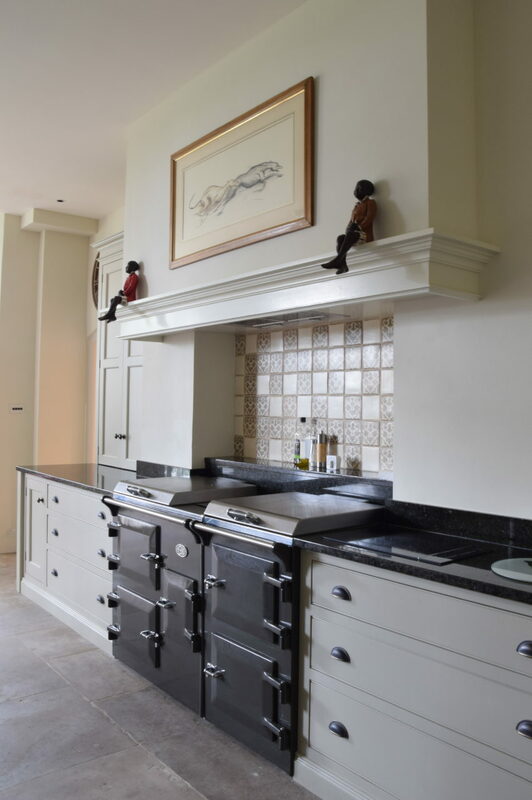 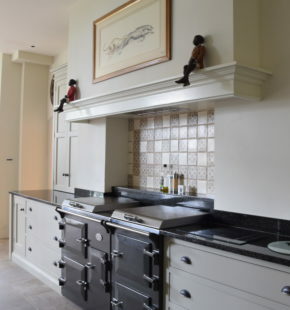 It was fortunate that the chimney recess was exactly the correct size for an Everhott 150i and to the right of it is a two zone induction hob – a large but subtle architectural hood runs around the entire area. 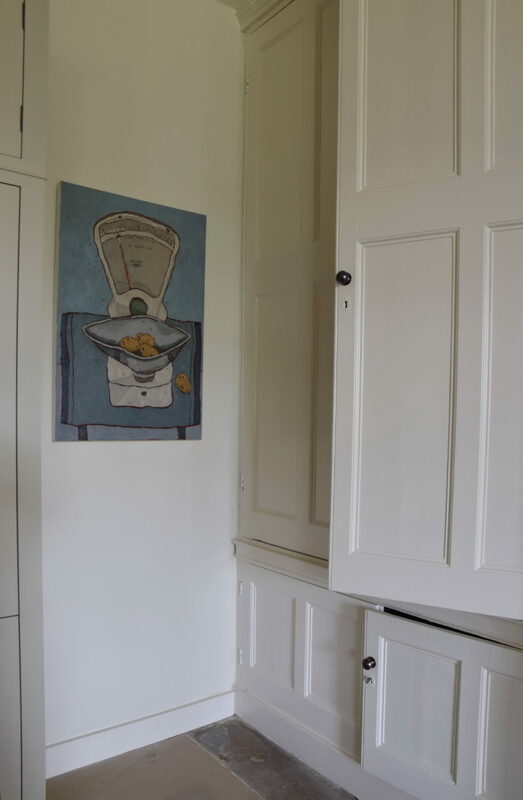 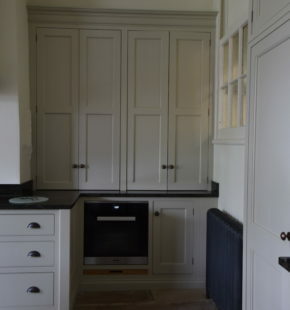 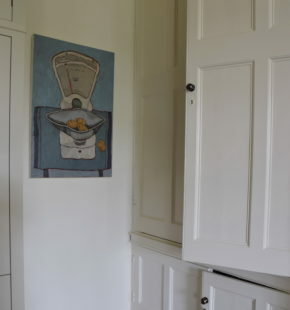 Storage is paramount here, there is a lot of crockery and serving platters to be housed and the island alone has 15 drawers, it also houses the bin and another two cupboards. 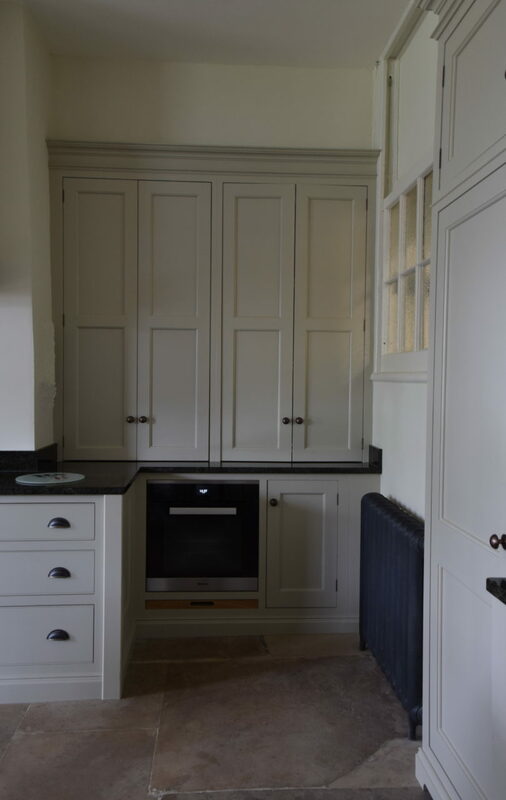 Further storage is to be found in the corner of the room where there is a bowman cabinet, these are excellent for housing appliances such as blenders and mixers which can be kept plugged in within the cupboard and then pulled forward when required. 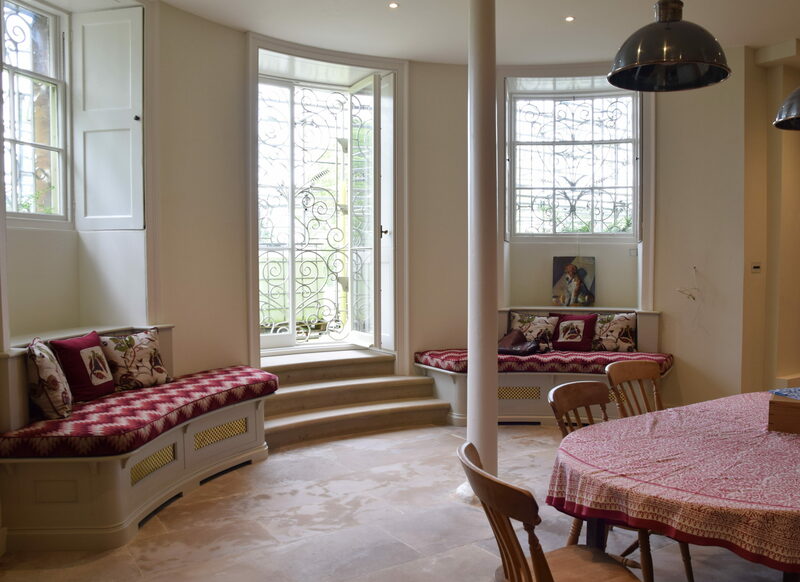 The window seats were a later addition and were made in the workshop by our skilled craftsmen, each of the seats took a week to make. 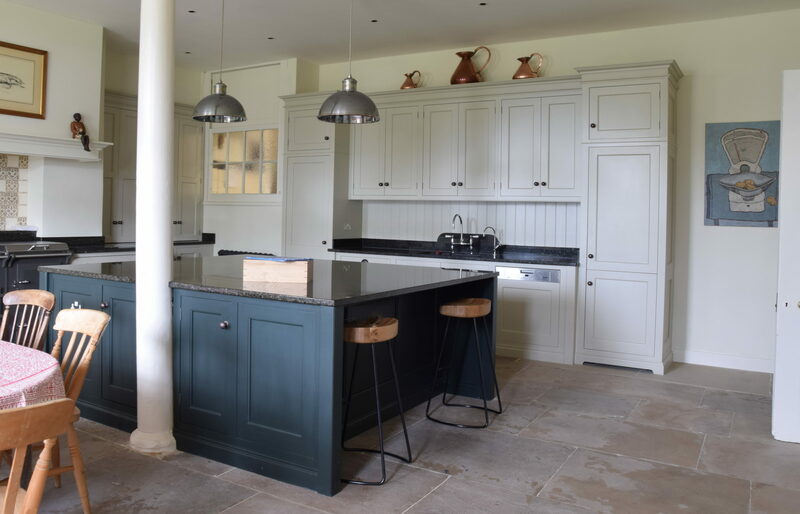 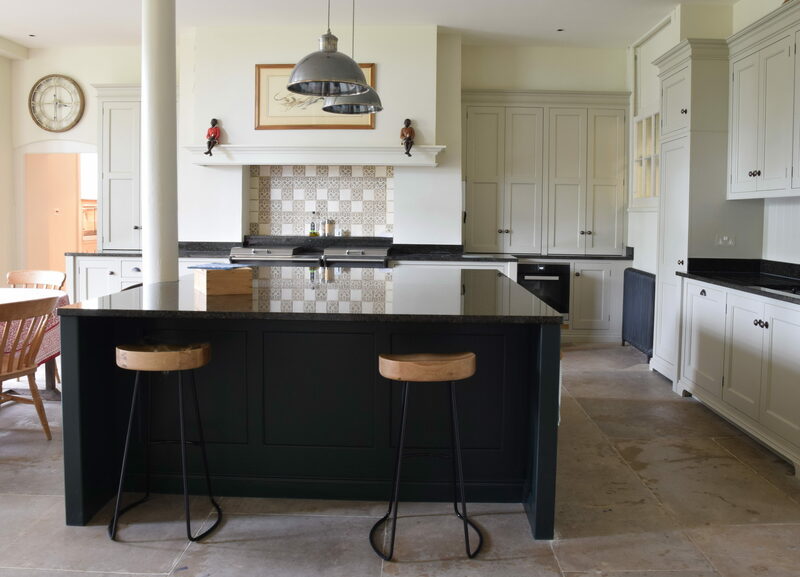 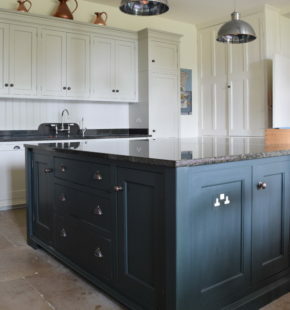 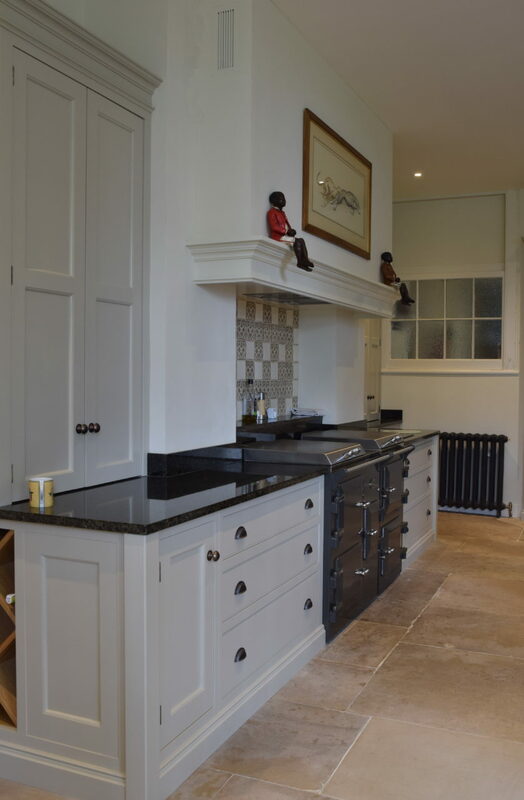 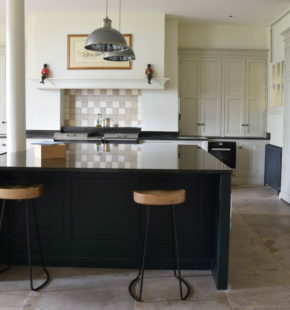 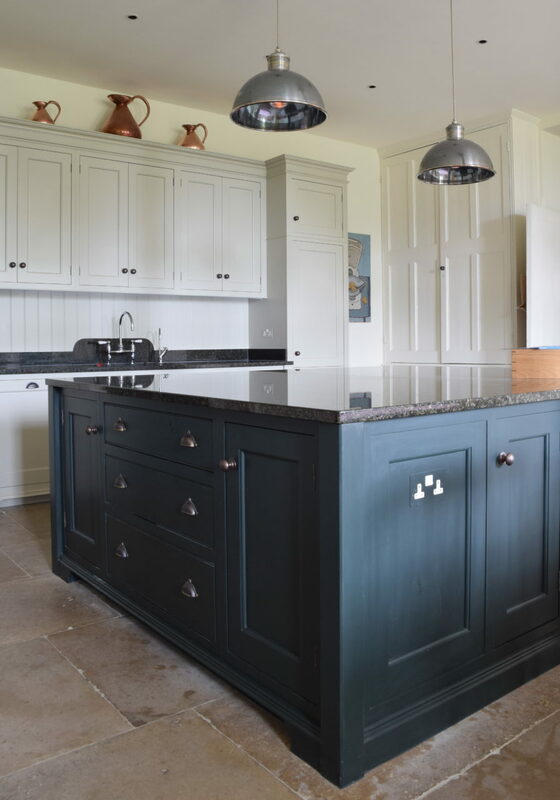 Overall we are incredibly proud of this completed project, it feels as if the kitchen has always been here is a wonderful extension of this beautiful family home.